Use the ‘Add New’ button to show a blank form. 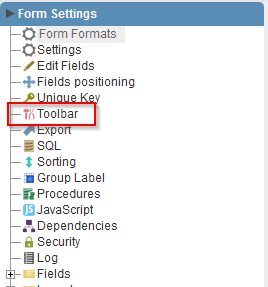 You can modify the record content and press the ‘Save’ button to commit the changes to the database. You can use the ‘Copy’ button to make a copy of the current record content and show it in a blank form in order to insert the data into the database. On the bottom toolbar you will find the navigation buttons used to move forward and backwards on the records and you will also find the recount count feature. 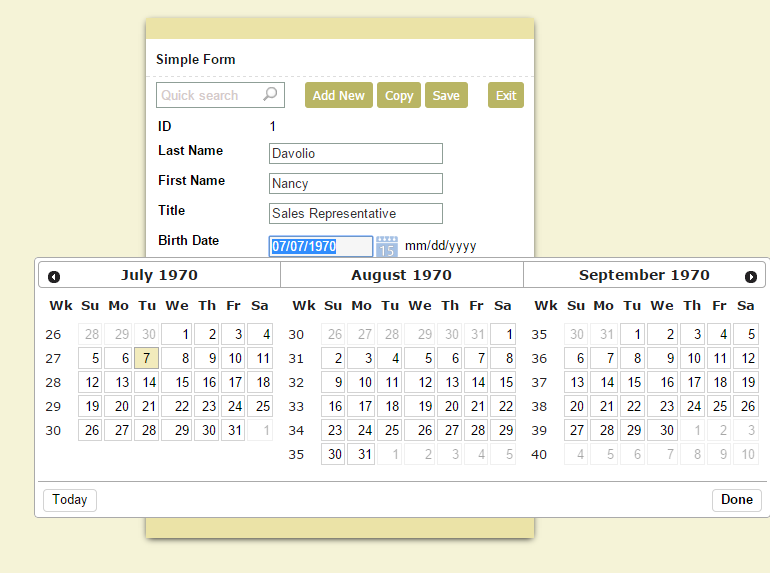 In this example we will develop a form of “Single record” where we can view features as: copy button, quick search and a field data using a multi-month calendar. 3. Add the button “Quicksearch” and “Copy” in the toolbar. 4. 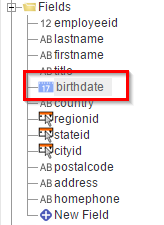 In the application menu go to the field settings “birthdate” in the folder fields. 5. 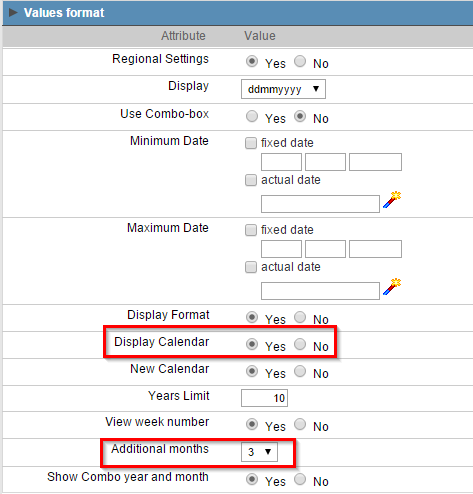 In the “Values Formatting” check “show calendar” and “additional months” type to display three months on the calendar.